Since 2000, Wheel Media has provided unparalleled success in Bay Area	internet marketing. Utilizing proven-effective techniques, we are dedicating to providing results to our clients. Our expertise in search engine optimization, social media, website design and email marketing ensures that your business will not only grow, but flourish. Providing our clients an average growth rate of 24%, we feel that our actions speak louder than words. Wheel Media has assisted a wide range of clients – from small to mid-sized businesses to nonprofits and startups- to deliver them tangible success. By expanding your online presence, Wheel Media will make your company stand out from its competitors… And deliver you increased website traffic and increased business as a result. Take a look at our client list to learn more about how we have helped our clients and how we can help you. Wheel Media isn’t “just another marketing firm.” Our expertise, combined with our dedication, ensures that your business will flourish in the virtual world. Wheel Media’s Bay Area internet marketing services provide our clients with results that will translate into increased business. By developing an effective marketing campaign, Wheel Media offers our clients the peace of mind that their business is in good hands. We have a highly skilled team that has the experience to deliver you a higher profit margin through online marketing techniques. Wheel Media is committed to your success – and we won’t settle for anything less than exemplary. We understand the importance in getting to know our clients on a personal level, as well as understanding how their business fits into the industry-at-large. In doing so, we can offer the most customized service possible in Bay Area internet marketing. Wheel Media delivers results. Your company will be able to see our success manifest itself in increased website traffic, business expansion, and profits. By tempering a personalized experience with a knowledge of the “bigger picture,” Wheel Media is able to deliver our clients the biggest and best results possible. When it comes to increasing your business’s success, why wait? 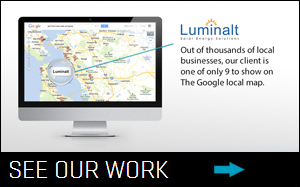 Our Bay Area internet marketing company is ready to deliver results to you. Using a range of methods including social media marketing, search engine optimization, and website optimization, we don’t just promise yousuccess – we guarantee it. Take a look at our profile to get a glimpse of our proven track record. Afterwards, contact us to get the ball rolling and the wheels turning. Wheel Media is ready to help your business grow, and we can’t wait to turn your vision into a reality.